The news of Batik Training at my college made me really interested and enthusiastic. 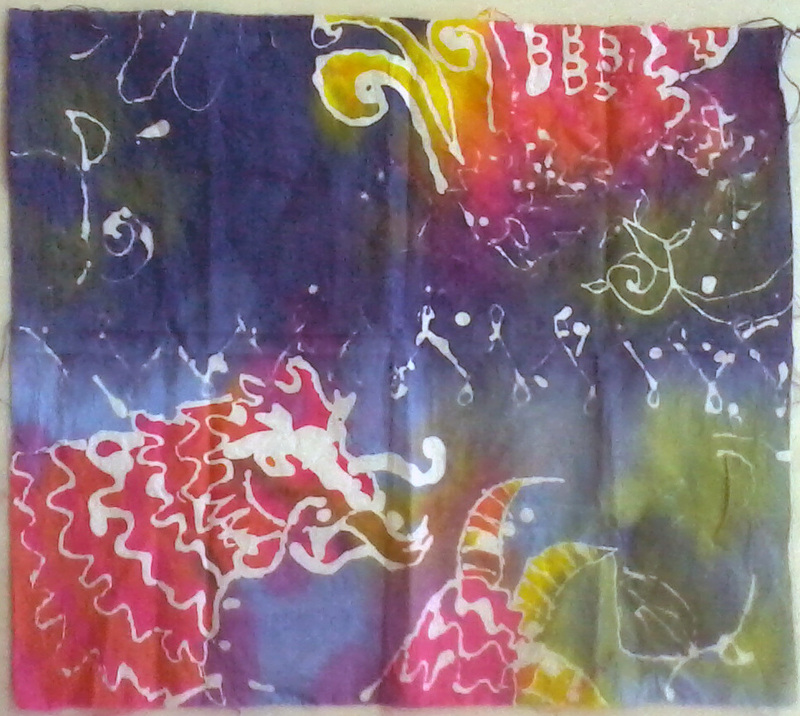 It was a big chance for me to try creating a batik, in my local area, and in a cheap prize. I chose to be a trainer for the main event at March 12, 2011, at Institut Teknologi Bandung. Therefore I had to get a training, more like a pre-event to be a bit more experienced to handle a bunch more participants on the D day. 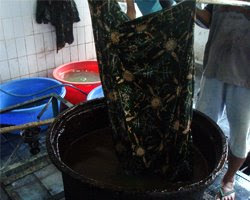 Due the short amount of time, we're not making a batik celup with dyeing technique. We're making batik pekalongan or pesisiran, by brushing the stains so more colors could be applied instantly. We're using a small kerosene stove with a small pan to melt the wax. Don't ever let it boiled, just stay on melting state. 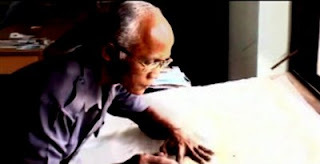 There're 4 steps to make a batik. Make the pattern using a pencil on the white fabric. Using a canting, slowly and passionately cover your sketch with the wax. Brush the dye on your pattern as you desire. I was using indigosol dye, by the way. Then let the color absorbed and let it dry under the shade. Put the fabric in the boiling water and soda ash. The hardest part is mbatik. 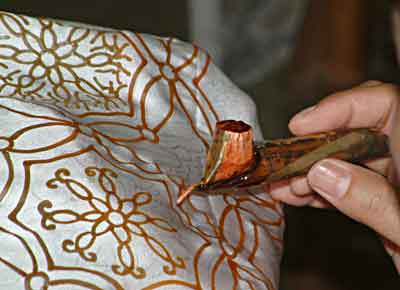 You should get extra careful and need more practice to create a neat batik. Basically, it's a mixture of patient and skill. No wonder batik tulis is expensive.